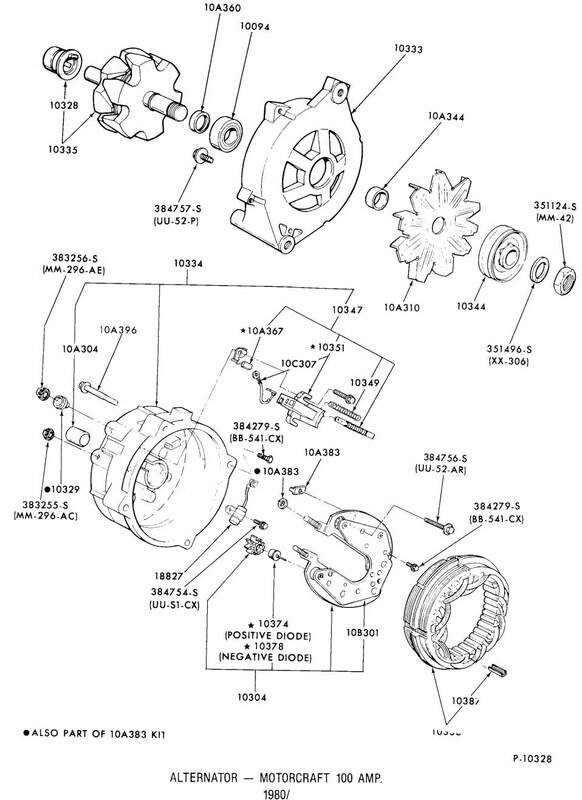 Part #'s, application information, and mounting illustrations for the alternators and regulators used on the Bullnose trucks. 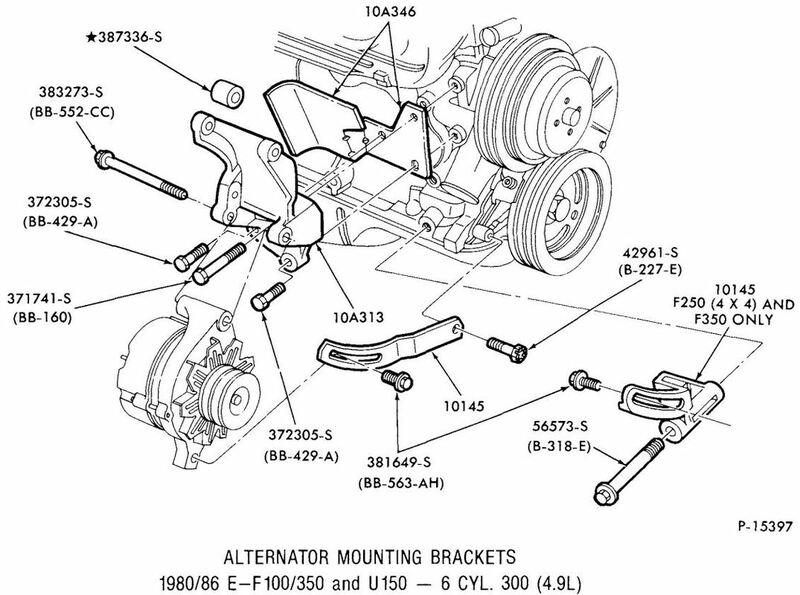 The area of alternators and regulators was changing during the the 1980's and early 90's. For a couple of decades, from about 1965 to 1985, Ford depended on the unit we now call the 1G in all of its vehicles. This is an externally-regulated unit with an external fan. But in about 1986 Ford introduced the 2G, which is an internally-regulated unit with an external fan. And then in about '92 they introduced the 3G, which is internally regulated but has an internal fan. Note that I said "about 1986" for the introduction of the 2G. 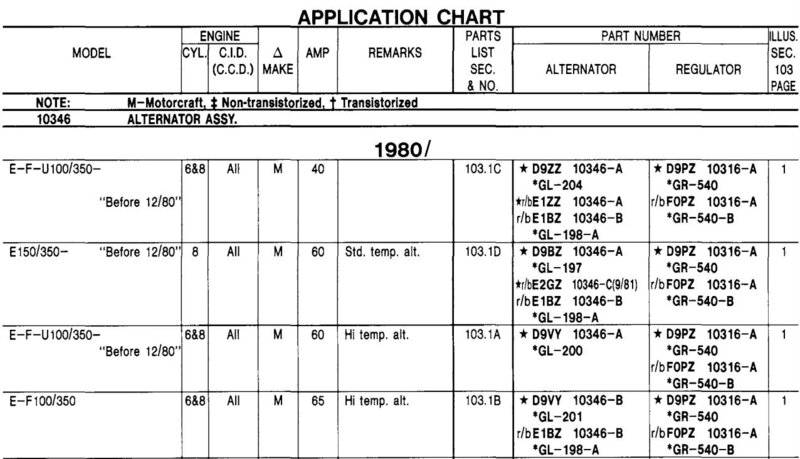 The date when it first appeared on a Ford light truck appears to be 1985, but the Master Parts Catalog shows (see below in Part Numbers) that it was used on 4 & 6 cylinder vehicles, and that seems to have been on the Aerostar van, Bronco II, and the little Ranger. 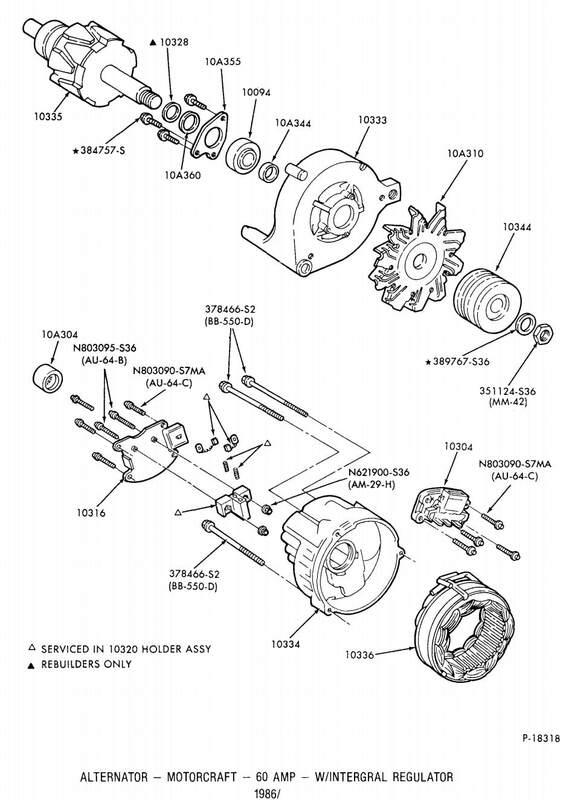 However, they issued a technical service bulletin (TSB 96-21-4) that shows the 2G was used in the F-Series trucks from 1986 through 1994, and the Bronco from 1986 to 1993. 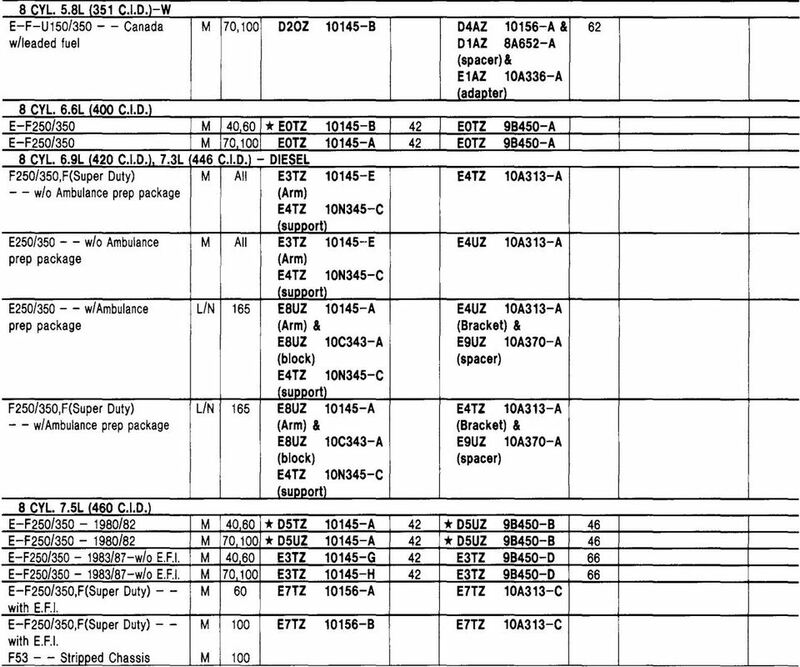 Having said that, I can't point to any entry in the MPC that shows when the 2G was introduced on the F or U-series trucks. (And, that includes the 1990 version of the MPC, which I have on microfiche.) But, I have heard that some 86's came with it. So, if you have one please take a pic of your certification label that shows when the truck was built and send it to me as I'd like to try to figure when they were introduced. 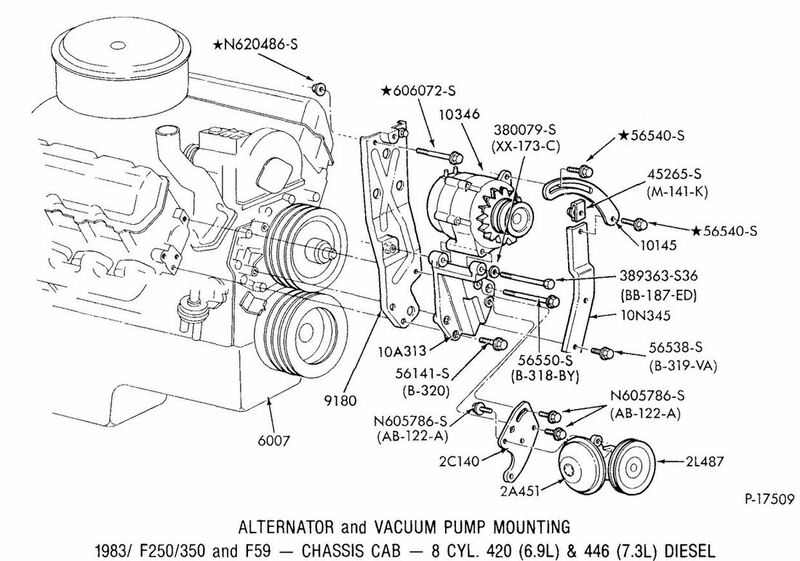 The 60 amp unit was optional on the F-Series. But on the Bronco it was only optional from 1980 through 1983. 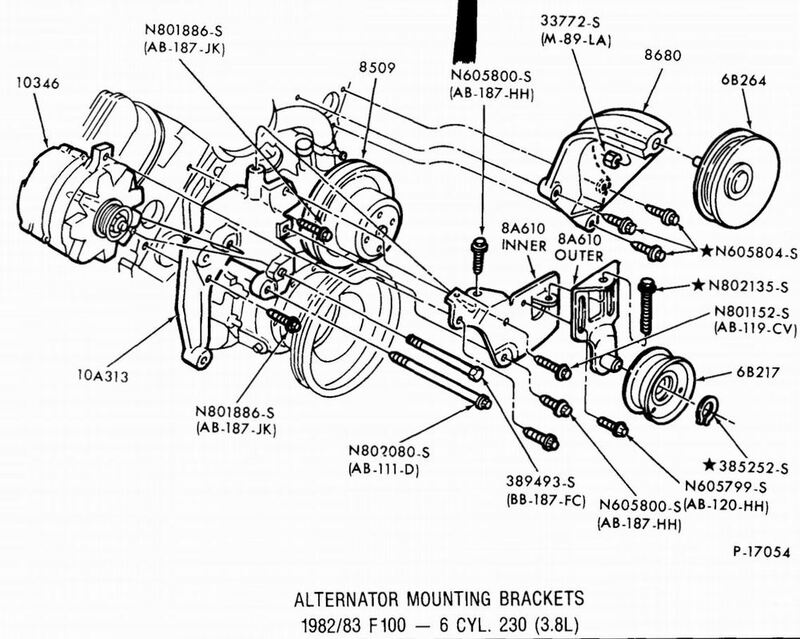 However, as of 1984 it was only available on the Bronco "when included with certain optional equipment not not available separately as an option". The 70 amp unit was only available on the Bronco "when included with certain optional equipment not not available separately as an option". 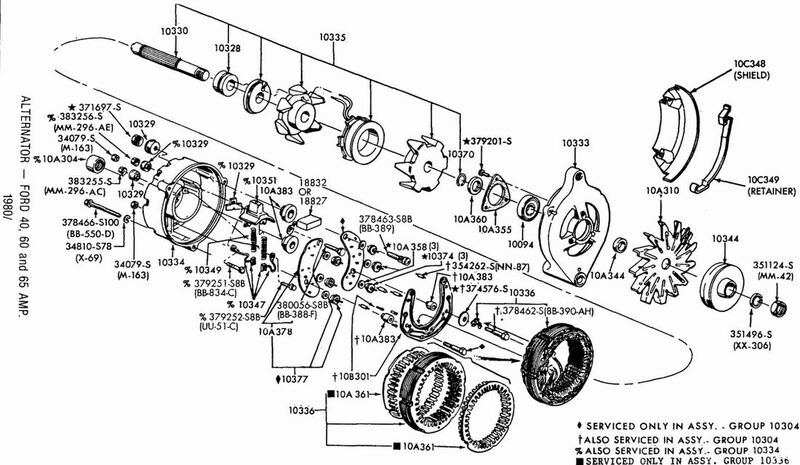 And one of those was the snow plow prep package, which included the 70 amp alternator. 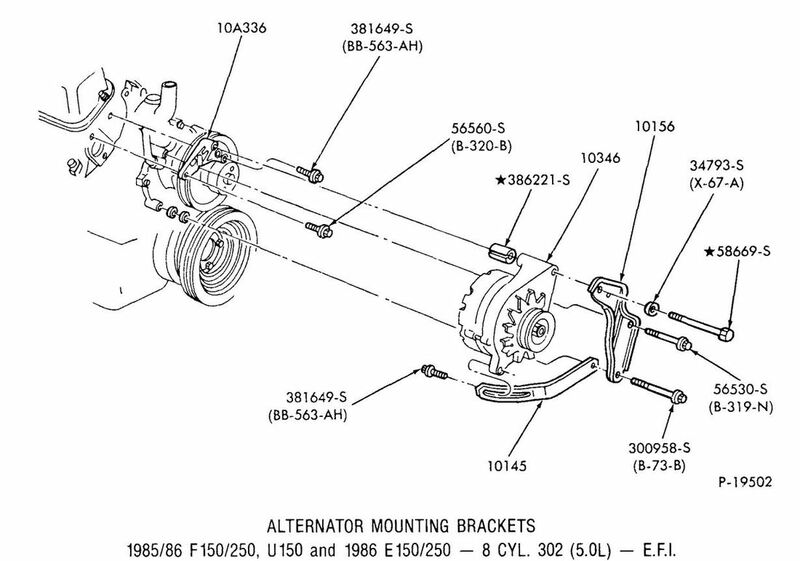 The 1986 Light Truck Fact Book, which was the reference book that Ford gave the dealers, has some interesting information regarding the available alternators. 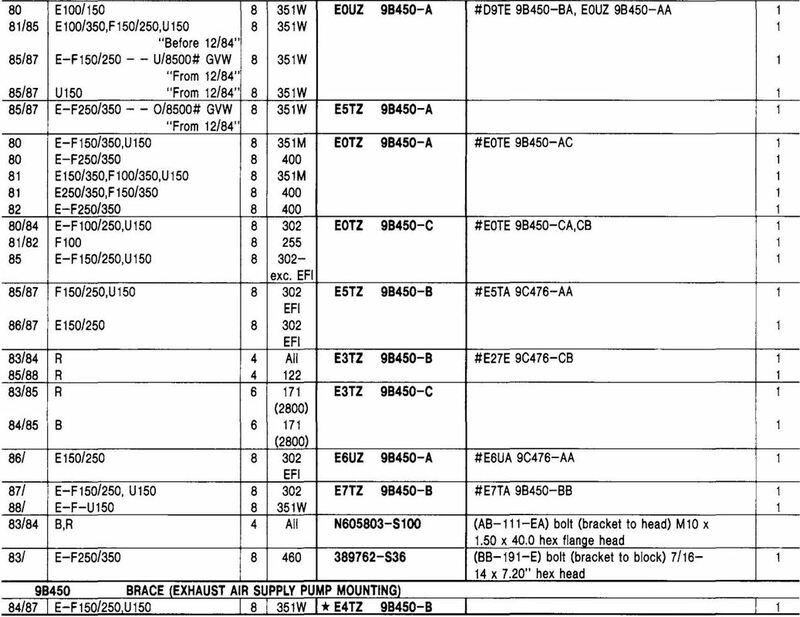 First, there's a rated output table on Page 2 that shows RPM the alternator needs to spin to achieve its rated output. 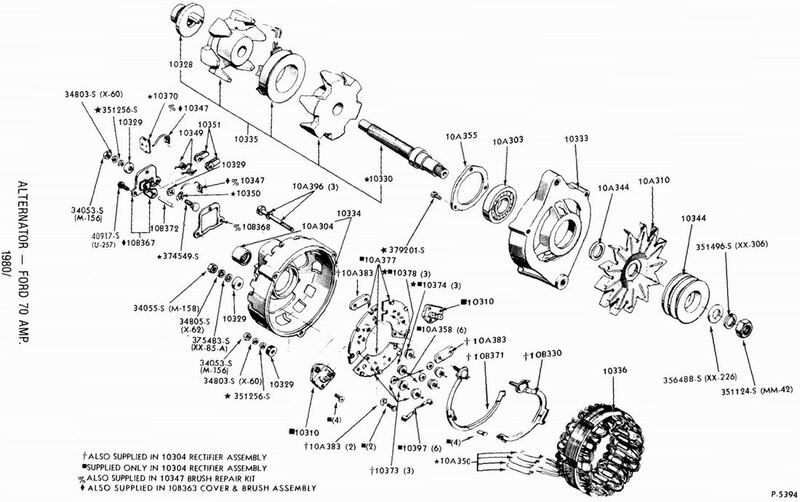 But the charts the charts on the following pages are in engine RPM, with the pulley ratios given that get the alternator up to the needed RPM. 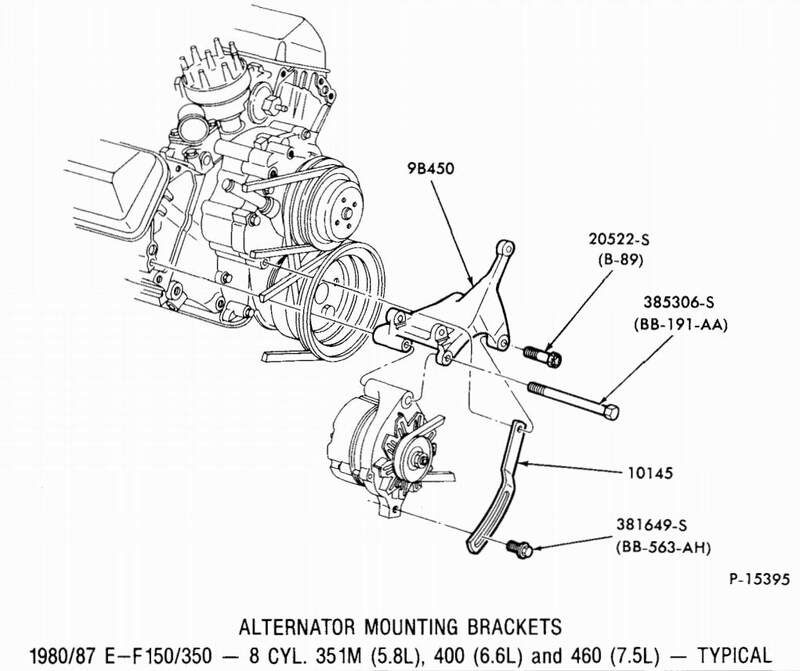 Second, I would disregard the statements below the chart for the 40 amp alternator that suggest that this alternator wasn't used on the F-Series trucks and Broncos. 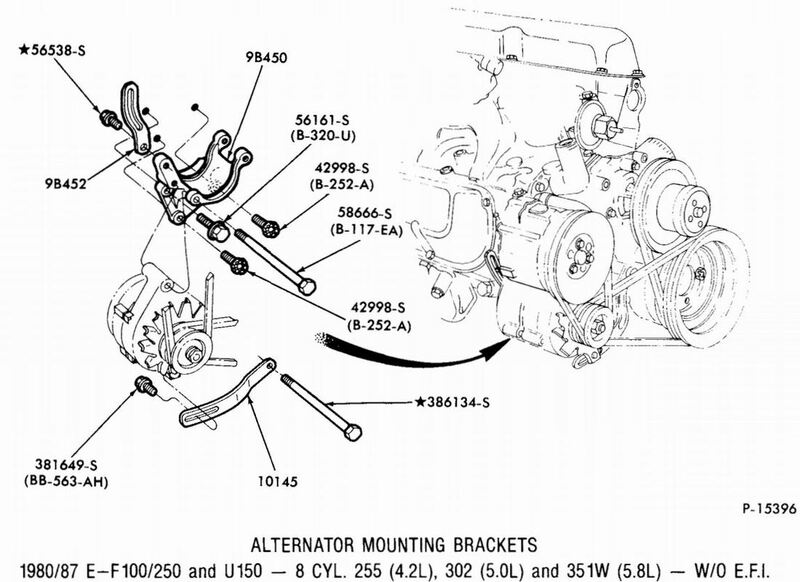 Elsewhere in the same book it says the 40 amp was the standard alternator for those trucks. And, the 1980 - 1985 books say it was standard as well.